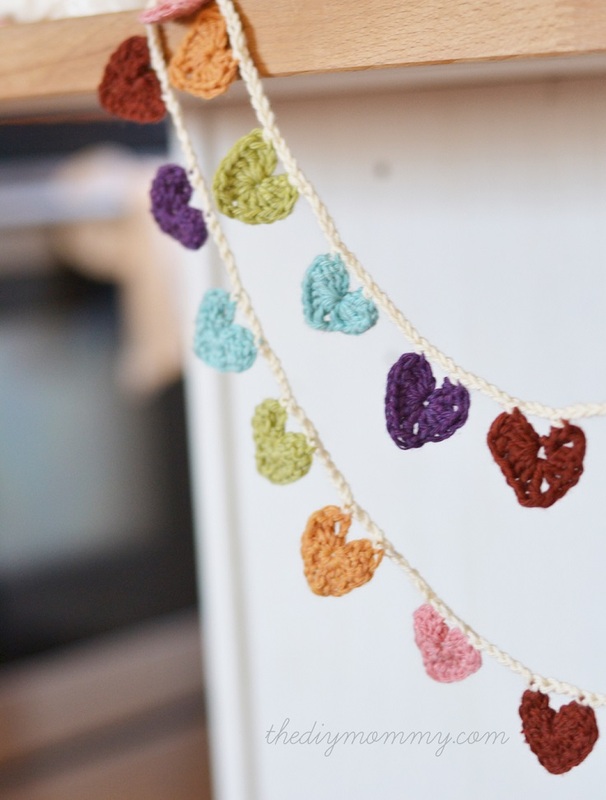 Those who love crocheting, know how fun and creative it can be! Crochet items when done well look really beautiful and they can be really practical as well – have you considered making your own cup sleeve or laptop cover? In case you were looking for new projects to make, we have ten amazing ideas for you. They’re easy, budget – friendly and the best thing is that some of them can even be great gifts. So, scroll along and check them out! New season, new jewelry! If you were thinking about getting something new for yourself or even as gift for someone special to you, here’s an idea for you – a folkloric braid necklace. With just a little dose of creativity and time, you can make your own. For that, you need crochet thread, old beads in different sizes, needle, chain from hardware store and ribbon. It’s really easy – the two most important skills you need for this DIY project is to know braiding and some previous experience with making jewelry. The mini hearts bunting banner is the perfect decoration idea for Valentine’s Day, but since there is still time for that, you can use it for something else such as baby’s nursery or basically for anything you’d like! You only need two materials – scraps of yarn in different colors and size J crochet hook. Here you can play with colors with choosing more for colorful hearts or you can pick just one color, either way the hearts will look lovely. Fall means preparing and drinking hot beverages, but sometimes they can be so hot that is even hard to keep them in hand. 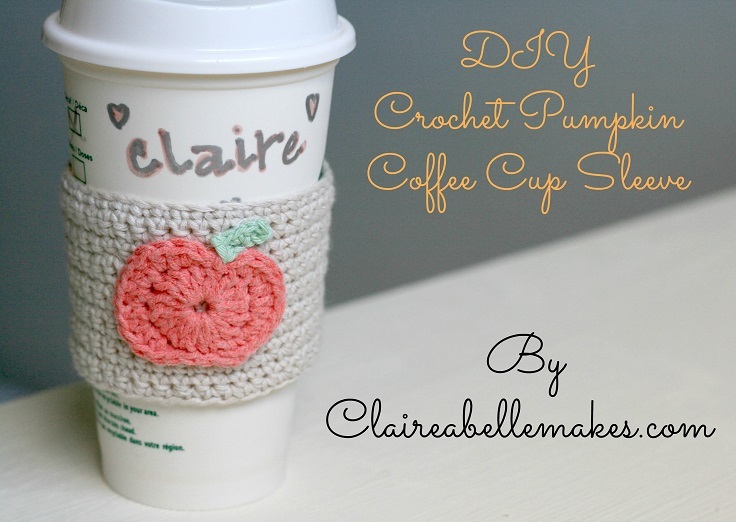 For that reason, you need to make your own crochet cup sleeve. It’s really practical and can look quite cute actually. Take some inspiration from this tutorial – if you like this crochet sleeve with a small, adorable pumpkin just check out the link below to see how you’ll need to do it! Aren’t these jellyfish so adorable? 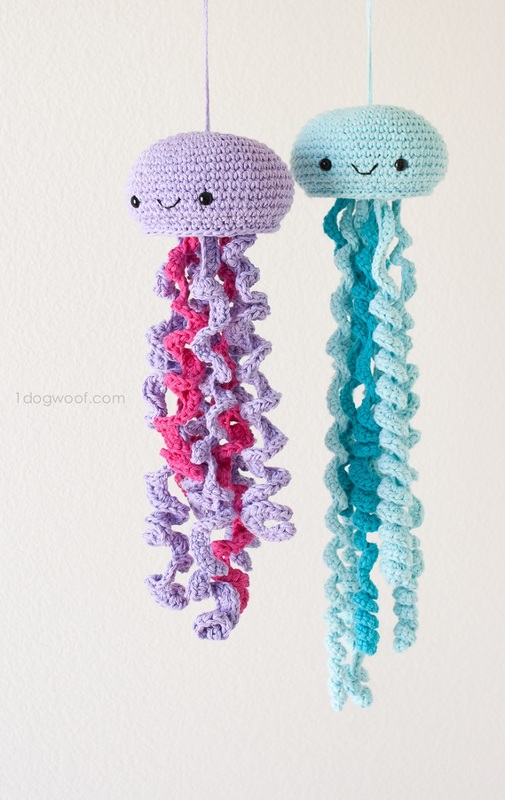 They can be the perfect gift for any child, so if you have someone special to you, don’t hesitate to work a little bit and create at least one adorable crochet jellyfish. Here’s what you need to make it – G (4 mm) hook, cotton yarn: main color – 2 skeins, secondary color – 1 skein, 9 mm safety eyes, black DMC embroidery thread, embroidery needle, scissors and polyester fiberfill. One thing you should be really careful of are the long curly cues that can be strangulation hazard. So, watch out your kids while playing with them! The dream catcher is a very interesting detail, especially if you want a boho decor in your home. This is the perfect decor detail for your bedroom! 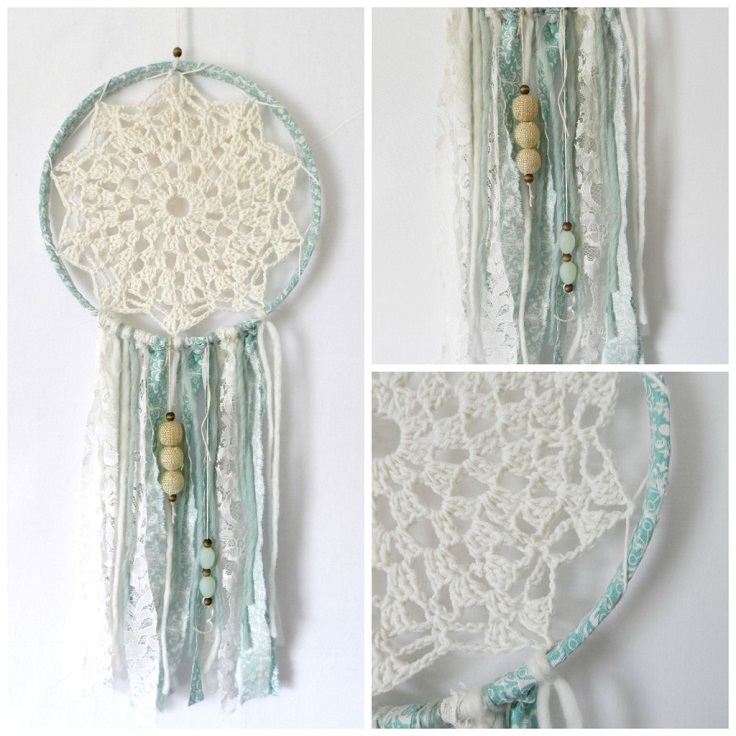 There are so many ideas on DIY dream catchers, but this one is our crochet favorite. What you need are the following materials – the inside ring of an embroidery hoop, light weight cotton yarn, light weight fabric, assorted beads, bulky roving yarn, lace cut into long strips, twine, 3.5mm crochet hook, darning needle, hot glue gun and embroidery floss. 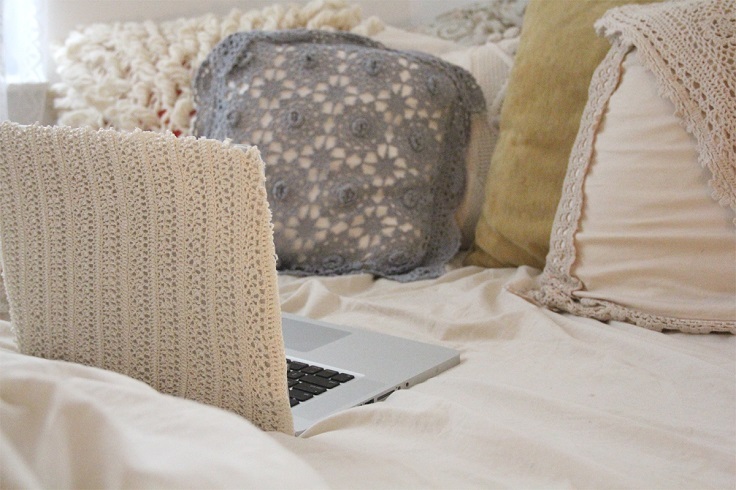 Have you thought about having your own crochet laptop cover? It will make it so cozy! You just need four materials – spray adhesive, laptop cover, crochet item and scissors. When buying or making your own crochet item, make sure that you have enough for covering the whole laptop and when buying a laptop cover, you can choose a clear one like pictured or pick one in color – it’s up to you! 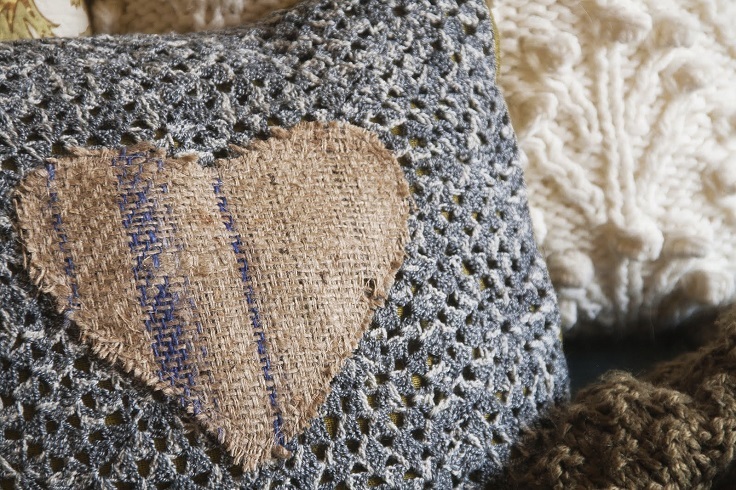 If you want to bring cozy and home-sweet-home atmosphere into your home interior, one of the best ways is to bring crochet items as many as possible. 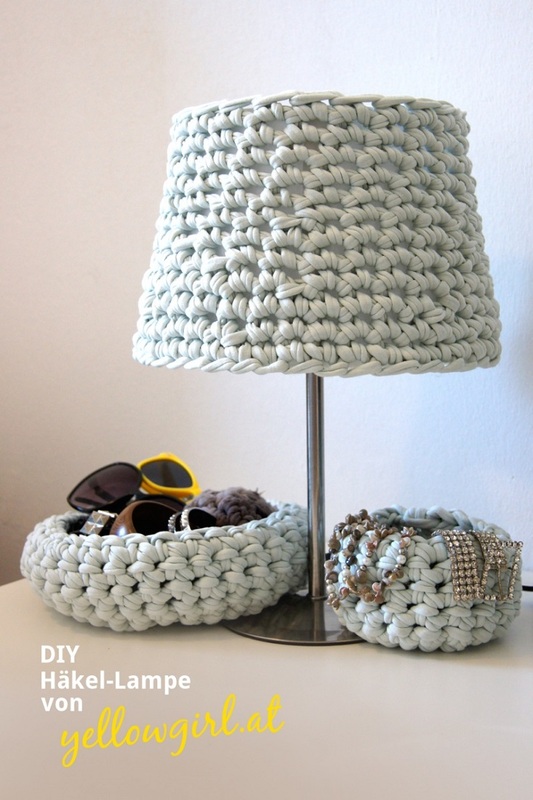 One idea that we especially liked was the crocheted lampshade. Start with crocheting around the larger end of the lampshade and continue to crochet as many rows you need to complete the whole. When you’re done with this step, fix the hose on the lampshade with an adhesive. The crocheted washcloths are a perfect gift for Mother’s Day or for anything you’d like.You just need two materials – 60 yards of cotton yarn and H crochet hook. Pick yarn in few colors to make your gift more colorful, or stick to one, as you wish. 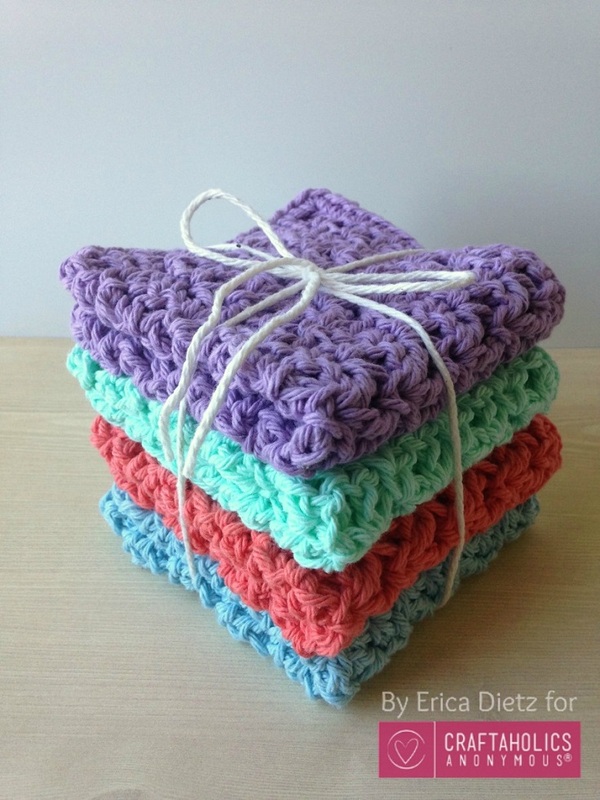 When you’re done with crocheting, just wrap the washcloths with a piece of yarn and your gift is all ready! Looking for a way to change your bedroom or living room a bit? In that case, you should know that details are all you need! One of the things that you can change or add are your pillows. This is a really creative and interesting project and it will be easier to make it if you already have some DIY experience with crocheting. However, even if you’re DIY beginner, it’s worth the try! Another way that you can decorate any room is by adding a wall hanging. 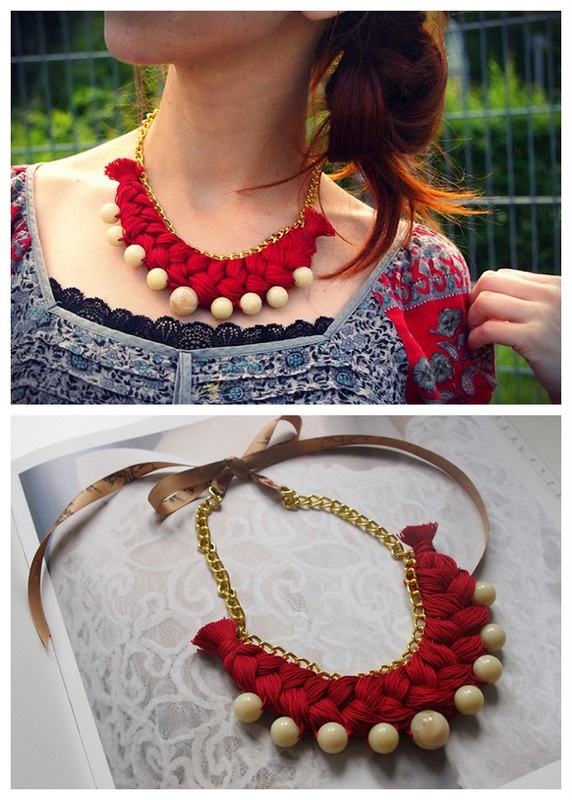 There are many creative ideas, but we stick to this one because it’s crocheted, and we love crochet items, don’t we? 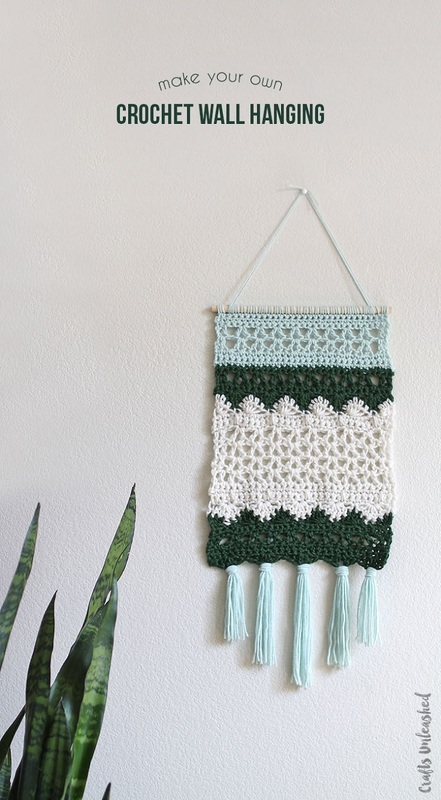 To make your own crochet wall hanging, you need these materials – 12″ wooden dowel, 9 mm crochet hook, yarn in three colors by your choice, yarn needle and scissors.